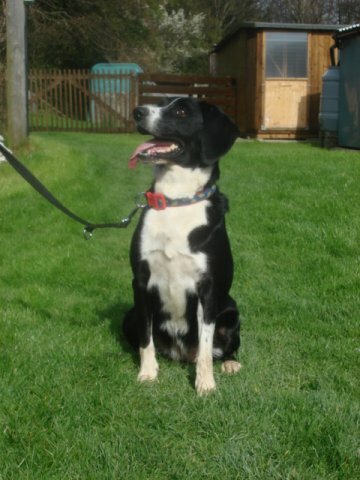 Poppy is 4 years old & has just been returned to the rescue. She was homed as a pup but recently developed epilepsy, her owner found it difficult and was unable to keep her. She has been back at the rescue for a couple of weeks, happily she has not had any fits. She is on medication and will be monitored, so we are looking for a very special owner for this beautiful collie. 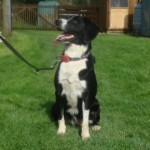 She is good off the lead, likes everyone, recall is good, she loyal, are you the special owner we are looking for. Speak to Marj for further information. Please note we are unable to home dogs to households with children under 7 years old, for safety reasons. There may be more than one prospective owner considering a pet from the rescue, in this case the most suitable home for the breed, size and temperament will be successful, if your unlucky don’t despair the next pet you view may be more suitable for your family and the pets needs. Happy to say Poppy is now very happy in a foster home and is doing very very well. Would you help the charity by sponsoring the on going medication poppy will require for the rest of her life.